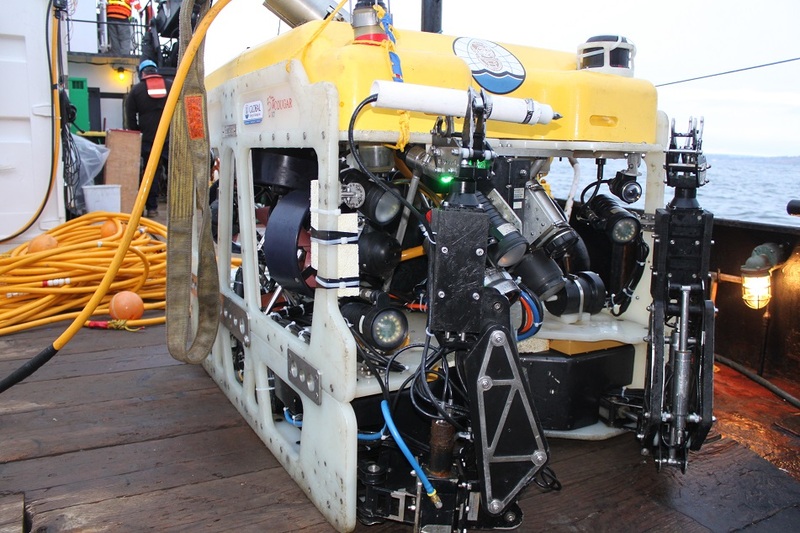 Marine Outfall ROV Inspection - Global Diving & Salvage, Inc. The Brightwater Marine Outfall was constructed and deployed in 2008 and came online in September 2012. Shortly after leaving the shoreline near Point Wells, WA, the pipeline branches into two parallel 84” HDPE outfall pipelines; diffuser ports are located on the last 250 linear feet of each pipe along with steel access gate structures. Semi-annual inspections of the outfall are performed to measure ecological impact and structural integrity. 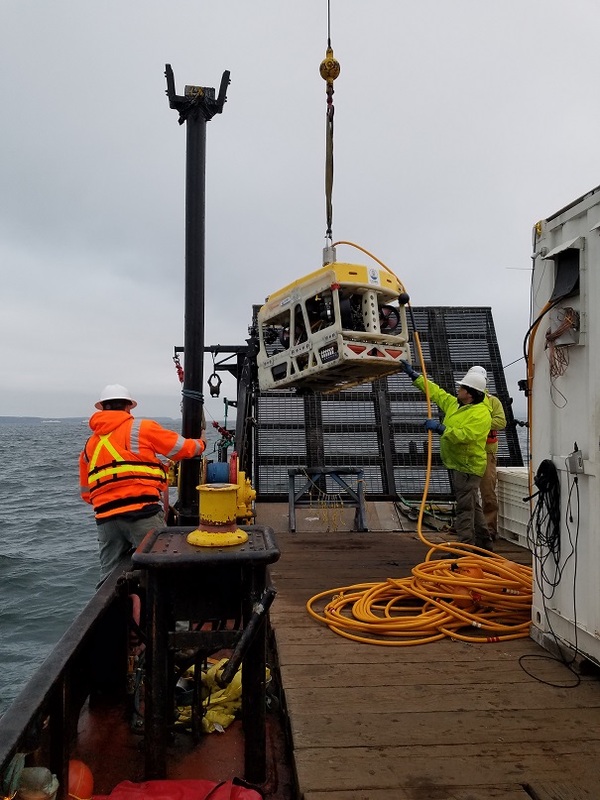 Global has provided ROV inspections and surveys of the outfall for King County Wastewater Treatment Division, on three separate occasions; in 2012, 2014 and again in 2017. 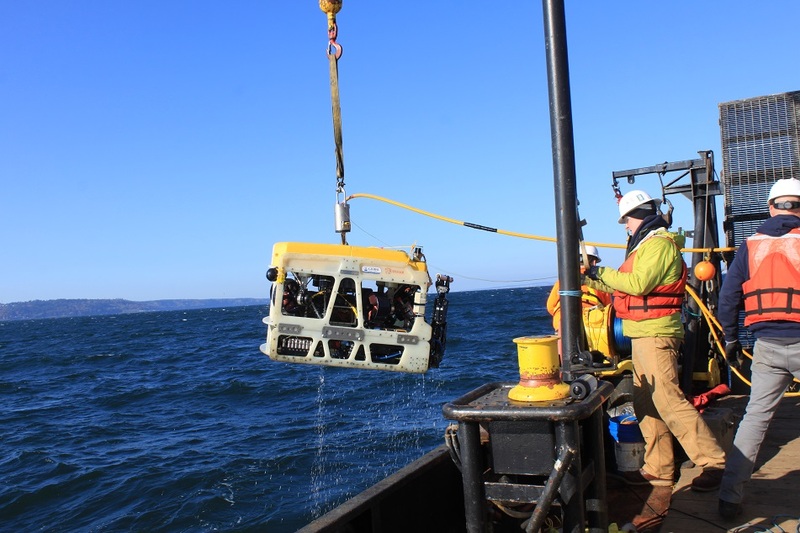 In 2012, Global completed the ROV inspection and commissioning of the two parallel outfall pipelines and diffusers, then used the Cougar XT ROV’s manipulators to remove and recover 42 diffuser caps, weighing approximately 50 lbs each. In 2014, Global again provided visual and measurement surveys of the outfall as well as retrieval of several HDPE biological sample coupons by ROV. The scope of work for 2017 included the ROV inspection of two parallel 84” OD HDPE marine outfall pipelines and diffusers. The survey involved accurately calculating the positioning and orientation of the diffuser pipes, the removal and recovery of several deep water HDPE biological sample coupons, the visual inspection and non-destructive testing of 26 aluminum anodes, as well as a marine life and hard bottom survey. Global acted as the prime contractor overseeing 4 teams of subconsultants to complete the work: TerraSond, Ltd. performed navigation, positioning and bathymetric surveying; Anchor QEA acted as the environmental services and geotechnical engineering subconsultant, LLC; Tinnea & Associates, LLC performed corrosion inspections; and Marker Offshore provided overall QAQC and acted as a technical support subconsultant. 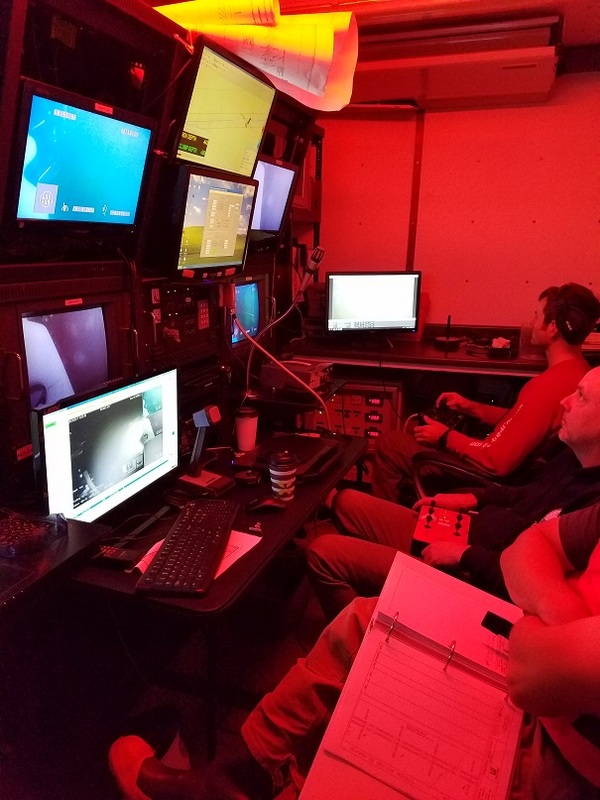 Global’s ROV operators piloted the Cougar XT while live boating their vessel Prudhoe Bay on pre-determined coordinate lines to perform a complete visual marine life and sediment survey in water depths up to 650 fsw. Equipped with ultra-short baseline (USBL) navigational equipment and sonar, the Cougar XT provided precise mapping and depth measurements for all 60 outfall diffusers within 0.1 feet of accuracy, and the roll of the pipeline was measured to within <1 degree. By conducting accurate profiling of the pipe suspensions and comparing them to the 2012 and 2014 surveys, the engineers were able to measure scour and other changes over time. 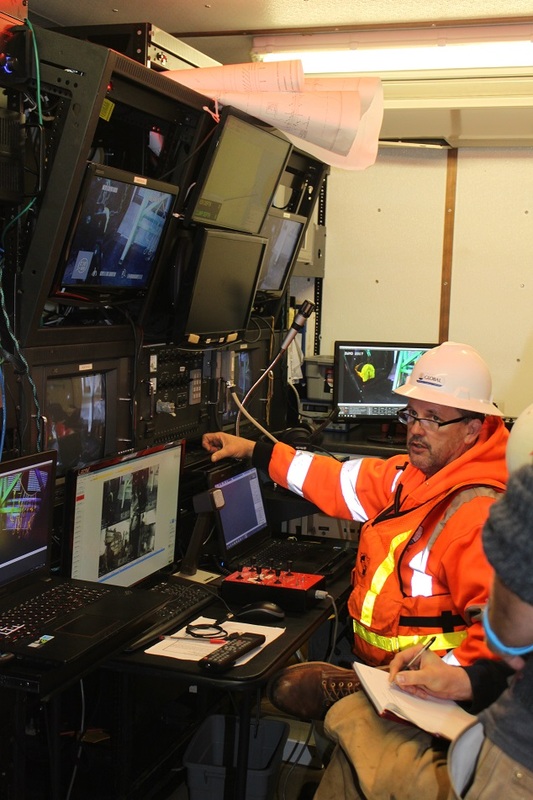 Global also inspected 26 cathodic protection aluminum anodes using a silver-chloride half cell reference electrode attached to the ROV’s manipulator. Global used the ROV’s hydraulic cutting tools and manipulator to remove and recover 7 HDPE biological sample coupons which had become cemented in place in 550 fsw. Throughout the operations a marine biologist was on hand to conduct a survey of the marine life encountered by the ROV; a more detailed review of the ROV’s video was conducted after field work was complete and all biota and environmental conditions were logged.